Engagement – one of the most special occasions in anyone’s life. Finally you find the one you are willing to spend the rest of your life with and propose with the most exquisite engagement ring ever. Traditionally, diamonds are used for engagement rings. And buying the perfect ring for your loved one is not as simple as it sounds. However, browsing for engagement rings online seems to be the trend as it gives you an opportunity to explore the world for various designs, cuts and styles. The type of diamond ring you choose will depend a lot on your partner’s preferences. One of the key considerations in buying a ring is the kind of setting or mounting used for the diamond. Simply put, the way the diamond is placed on the ring. Let’s check out the various setting styles and the terms used for them. This setting is named after Tiffany & Co- the company which popularized this style. It is a set of prongs or claws that hold the rock and attach it to the plain band. This setting shows off the diamond and maximizes its radiance. Poor finishing may cause the ring to snag on the clothing. In this setting, a metal lip encircles and overlaps the edges or perimeter of the stone thus holding the diamond securely. The metal can be moulded to hold stone of any shape and size. Here, the stones are suspended between two strips of metal which is called as a channel. You could have a channel setting around the big rock set in Tiffany. Smooth surface and hence is not obtrusive. Resizing may be difficult, if stones go all around the ring. 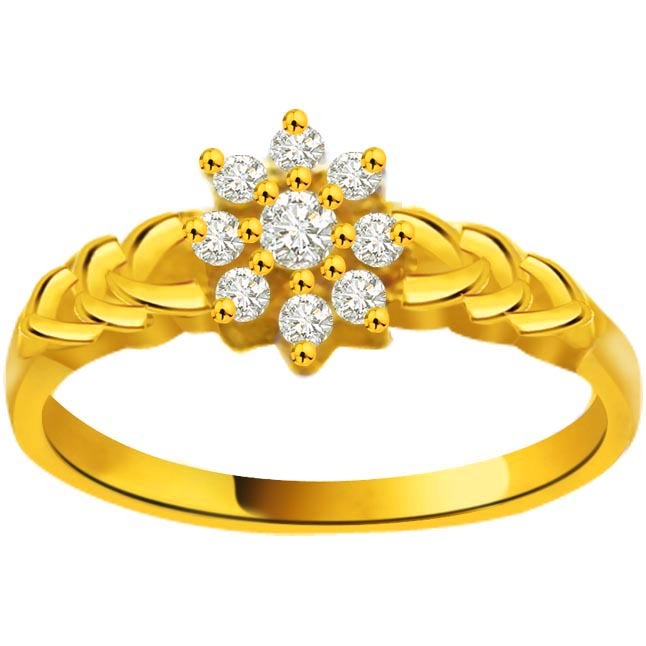 If you want to pamper your partner with lot of diamonds go Pave. This setting has a lots of diamonds placed close together. You can have a flat setting here or a domed setting. In this type of setting, the precious stone is held by pressure rather than by prongs. The metal setting is spring loaded and tiny etchings are added to the metal to place the gem stones. The stone appears to be suspended in air with nothing actually holding it. These creations look so beautiful and what more you are indeed spoilt for choice! Next time your jeweller mentions these settings or you come across them online, you know what it actually means and help you make the smart choice. What say?